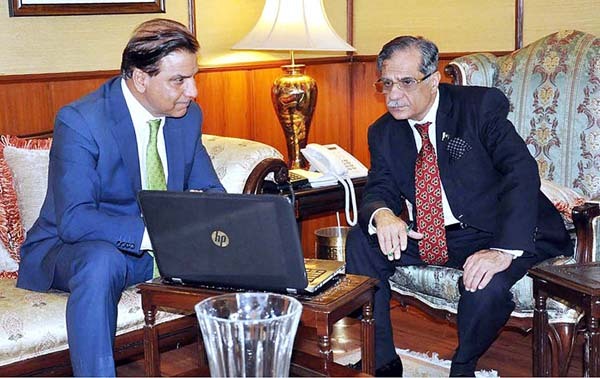 ISLAMABAD, Jul 13 (APP):Implementation Committee of Diamer Basha and Mohmand Dams (ICDBMD) Chairman Lt Gen (Retd) Muzammil Hussain Friday informed Chief Justice of Pakistan (CJP) Mian Saqib Nisar that ICDBMD would constitute five sub-committees for the construction of the two dames. The sub-committees would be namely Land Acquisition and Resettlement Committee, Finance Committee, Procurement Committee, Security Committee and Coordination Committee, to be formed, for construction of Diamer Basha and Mohmand Dams, a press release said. Lt Gen Muzammal, who is also chairman of Water and Power Development Authority (WAPDA), in a meeting briefed the CJP about the proceedings of Implementation Committee and its roadmap for moving ahead to achieve the milestone in stipulated time. He said the secretariat of ICDBMD had already been established at Islamabad and the committee’s first meeting was held on July 12. The progress report would be submitted to the Supreme Court of Pakistan in line with its directions, he added. The chief justice appreciated the prompt response of the Implementation Committee and directed its chairman to keep the impetus for ensuring early commencement of the dams’ construction.